It’s hardly possible to overstate the popularity of social media. 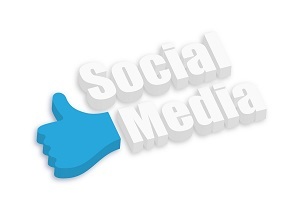 In fact, the latest statistics confirm that about 81% of the U.S. population has a social media profile. The amount of information many of us share so freely and openly for others to see can be concerning. One of the ways information shared on social media can hurt you is if you have a legal matter on the horizon. A recent article from Forbes magazine raised a few eyebrows recently when the author revealed how social media posts can undercut personal injury claims. Here, we’ll share some of the thoughts in the Forbes article as well as provide some advice on how to protect your case. How can my Facebook post hurt my case? When you file a personal injury case, your goal and the goal of your lawyer is to recover damages for being negatively impacted by someone else. The top goal of the defense lawyer, however, is to prove that your life hasn’t been affected as much as you claim. Simple posts that show you working outside, for example, can be used by the defense to disprove the extent of a neck or back injury. Also, posting negative thoughts about the defendant can backfire because their lawyer can then make claims that your case is the result of bad feelings rather than an injury. Can I just talk about my injury on social media? Simply mentioning your injury – even if you think it’s harmless – should also be avoided. There’s a reason why a long list of professionals (medical personnel, law enforcement, doctors, etc.) are often involved in personal injury cases. They are there to give the judge and jury a clear indication of how your claimed injuries can affect daily living. If your online descriptions don’t jive with what the professionals say, your case could suffer. What should I post online about my injury? The short answer is “little to nothing.” Even if you hit the “delete” button, hardly anything is gone forever once its posted online. The smart move is to think long and hard before mentioning online about your injury. Get in touch with us here at Barber & Associates. The first consultation is always free; we’ll review all aspects of your case and put forth a strategy for winning in court.